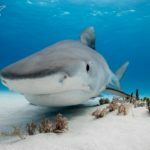 CITES, the Convention on International Trade in Endangered Species of Wild Fauna and Flora granted historic new protections to 5 species of shark this past September. 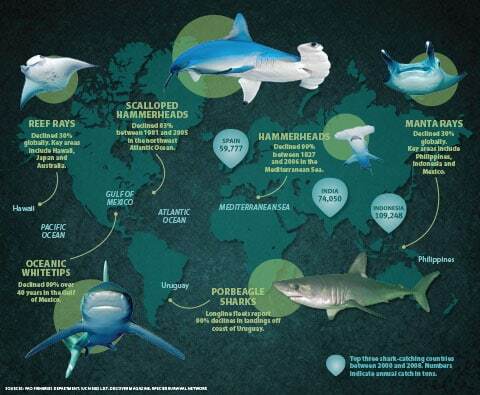 They include the Oceanic Whitetip Shark, Porbeagle, and three species of Hammerhead (scalloped, smooth, and great). Now, in response to this protection, agents have the daunting task of picking out these fins from the mountains of fins that are unloaded off ships or prepared for flights. The Humane Society International has helped organized workshops around the world so that experts and agents may get together to formulate a plan for enforcement. So far, they have taken place in Brazil, Senegal, India, Egypt, and the United Arab Emirates, with Colombia scheduled next month. Demian Chapman, an assistant professor at Stony Brook University’s School of Marine and Atmospheric Sciences has been a leader at these workshops. Demian was recently awarded the 2014 Fellowship in Marine Science from PEW. We’re proud to have worked with Demian during his ongoing research on Cat Island with the Oceanic Whitetip Sharks. Much of his groundbreaking work has offered new insights in the species and helped push for their protection. 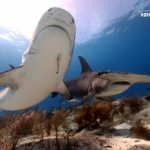 He is truly an advocate for sharks and conducts his research in the least invasive ways currently possible. 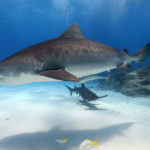 Tens of millions of sharks are killed annually to meet the demand for shark fin soup—an unsustainable rate that is driving some populations to near-extinction. Many are killed by the cruel practice of finning, in which fishermen cut the fins off a live shark, then dump the animal back into the water to die slowly. Learn more information here.